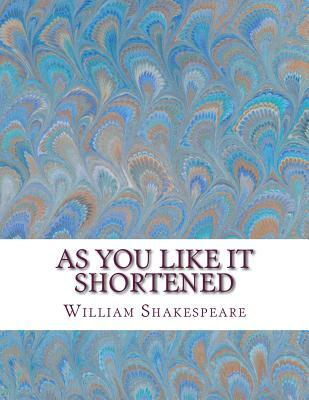 As You Like It Shortened: Shakespeare Edited for Length (Abridged / Paperback) | The Drama Book Shop, Inc.
"As You Like It Shortened" is an abridged version of Shakespeare's comedy "As You Like It." It contains the Bard's original language. This play serves as a source for amateur and professional acting troupes looking for a performance time under an hour. It is also a resource for English teachers who wish to use this play, along with the others like it, to gain a broader knowledge of the lesser known plays in a shorter time. David R. Wellens, M.A. was educated at Amherst College and the University of South Florida. David Robert Wellens was the valedictorian of his high school graduating class. He received a full scholarship to attend Amherst College where he graduated with honors. David earned his Master of Arts degree at the University of South Florida in Tampa in 1996. He has taught writing at Hillsborough Community College, ESOL and Teacher Training in South Korea, and middle and high school English in the Tampa Bay area. David also enjoys photography and classical, jazz, acoustic and rock guitar.